Here's an interesting bit of information that comes from the book, "The World Records Guinness Forgot," by Dennis, Holmes and Punt. 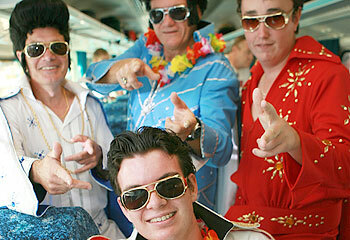 Did you know that there are now more than 400,000 professional Elvis impersonators in world today? 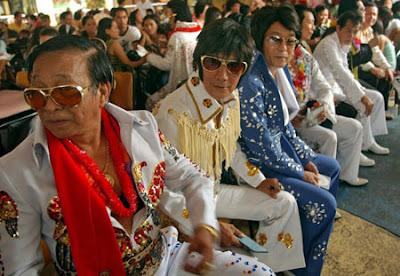 At the time of his death in 1977, there were only 170 professional impersonators. 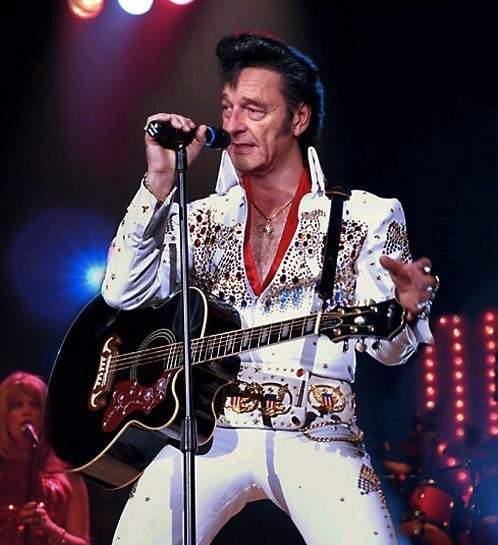 That means if the current rate of impersonation were to continue at a constant rate, by 2020, one third of the people on this planet would be impersonating Elvis! 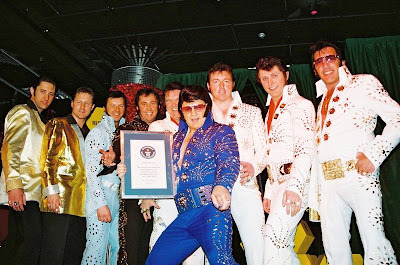 Those are pretty scary numbers of Elvis impersonators! It could be a lot worse. Imagine thousands of Gary Puckett and the union gap imersonators.